We open with Korean American speed skater Carl Laker, aka Donghae, winning a competition which puts him on a team to head to Korea. Excited, he shouts that he is finally going to Korea and he also expresses his love for Korean girl Saewa. We then cut to Saewa who is rushing to get to the broadcast room to do her report. She runs into a fellow worker and drops her scripts. When she goes to deliver the news, part of the script is missing, but she pulls it off without a hitch. Jo is playing the piano while his wife listens. They have pictures of a little girl all over their room. Who is she? Why isn’t she there with them? The Kim family then comes to visit. Meanwhile, back on the plan, Karl goes to confront the man and we learn that Anna is his mother. He wants retribution, but then Anna comes up and tells her son that it is wrong to hit people and that is where the episode ends. I am liking this series so far and can’t wait to see what will develop next. Yes, me too. I don’t especially care for Saewa, but maybe that will change. Needs pictures a lot, a lot of screenshots. It’s confusing without. It technically does have pictures, but I had some site issues last summer that I’ve been painfully and slowly trying to clean up. Hopefully, I can get the images restored. As for later recaps, I don’t have screenshots since I lost my video files for the drama. 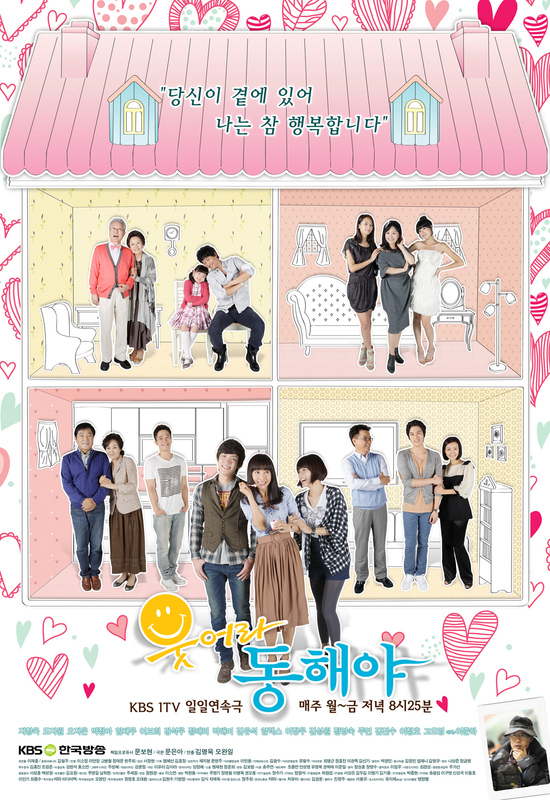 I love this Korean Drama a lot. It is my favourite Deurama. Neomu Neomu Saranghaeyo. Chheongmal Bogoshipheoyo.